The Senran Kagura ninjas are returning with a whole new way to please fans through Senran Kagura Peach Beach Splash. The over-the-top, salacious action games proved successful enough to spawn an anime, manga, and multiple sequels crossing over several genres. The newest in the series, Peach Beach Splash, is set to release in Japan on March 16, and the newest trailer shows off new gameplay and features. 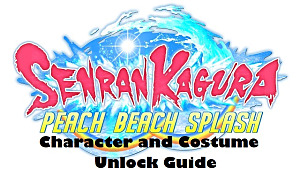 Taking a completely different approach than previous games in the series, Peach Beach Splash brings characters from every game in the series into one title to establish a connected world. Female ninjas from different factions in Hanzō Academy, Estival Versus, and more are invited to participate in a water gun tournament that resembles the gameplay of Splatoon. 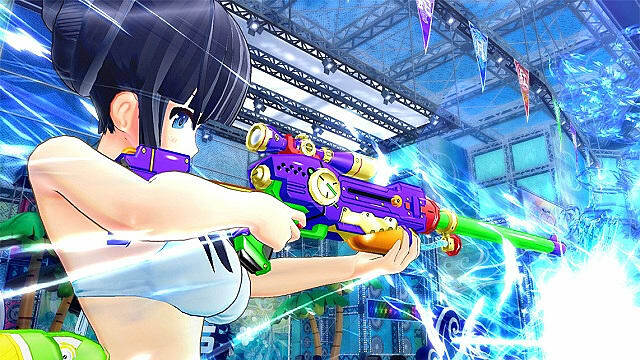 Instead of marking your territory by spraying ink throughout the levels like in Splatoon, Peach Beach Splash focuses on more traditional third-person shooter mechanics through direct-contact shooting. Depending on which mode you play, you can either play through the story of individual girls in their factions, or choose a team of your favorite girls and pit them against others online. There's a team deathmatch mode, Momination, where players try to occupy three watchtowers on the stage, and a co-op survival mode. Free battles online can have all sorts of differing rules, like 1v1 fights and adding CPU players. Weapons are chosen before battle and can be leveled up to increase their stats and abilities. Getting past the sometimes "lewd" content could be difficult for some, however, as the series is very well known for catering to its niche fan base through "enhanced" character design -- the game will consistently bombard the screen with close-up angles of breasts, buttocks, and tear-filled faces, among other things. Aside from all of the hypersexualized themes, the gameplay itself looks solid. The trailer shows off different game modes, from the single-player campaign to a 5v5 online, ranked multiplayer mode. 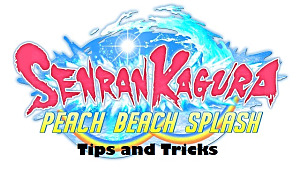 The girls move hyper-fast and can slip and slide through the stages in a fluid manner. They can wield all sorts of guns like double pistols, missile launchers, and sniper rifles, each with two different attacks. The single player mode showed off different boss battles and gameplay mechanics, like cards, which are used to change character stats and used as assists in matches. On top of that, the trailer showed that arenas will be more than just beaches and resorts. 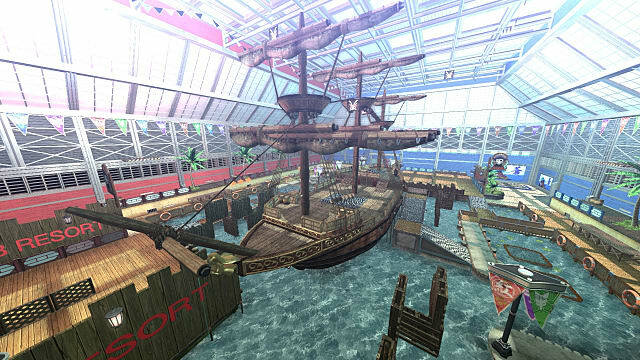 Instead, the game's levels will showcase variety, with one level revolving around a giant pirate ship and another appearing to be a giant kitchen. 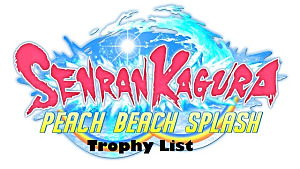 Japanese game developers like Marvelous cater to very specific tastes, and while most may look over Senran Kagura Peach Beach Splash as a “weird otaku” game, fans of the series are in for a treat with the spin-off title. The game is set to release on the PS4 in Western and Asian markets after it’s Japanese release in March.